Among the hustle & bustle of the adorable Georgetown streets, with my two best guys alongside of me, we wandered among the storefronts searching for something that ticked our fancy. After a mile or so, a promising storefront caught my eye. As I excitedly pulled the door open, my eyes were met with the most wonderful mural of the MOST colorful dessert I’d ever seen. It was more than the usual “Kid in a candy shop” experience. 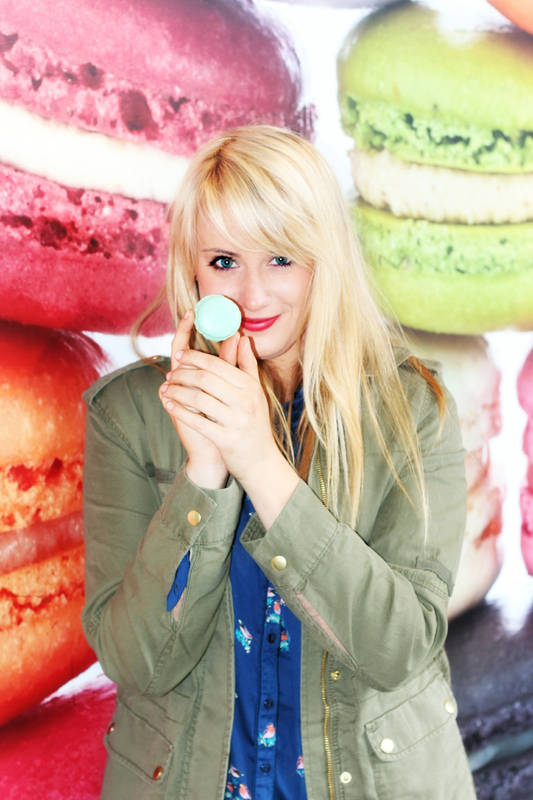 Yes, I was a blogger in a macaron shop. 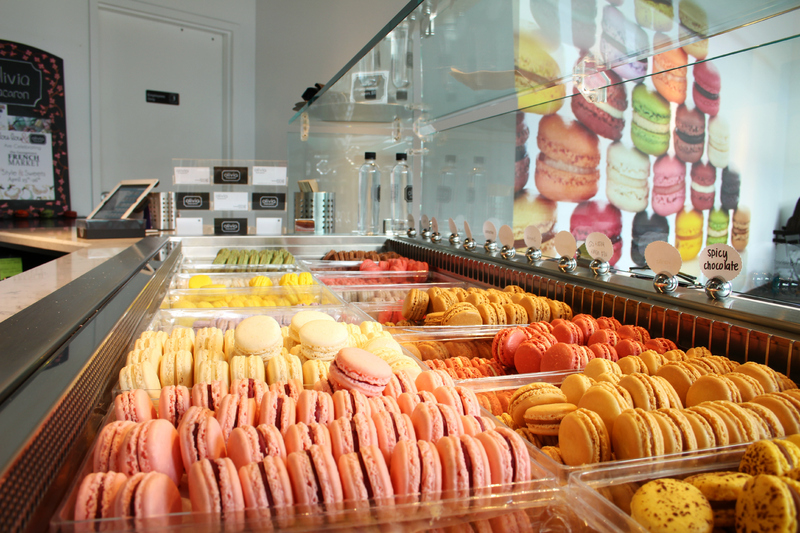 Photos of my favorite french sweet decorated the walls, a delightful croquembouche twirled in the window & a case full of wonderful flavors awaited my tastebuds. Needless to say my experience with this wonderland was, well, wonderful. Not only were we greeted by samples galore, but the lovely lady that helped us made our experience truly sweet! During our visit there was a job interview going on, & I honestly wanted to jump right in with a “me next!” I can truly say this was a delectable experience that I will be back for when I come back for DC! 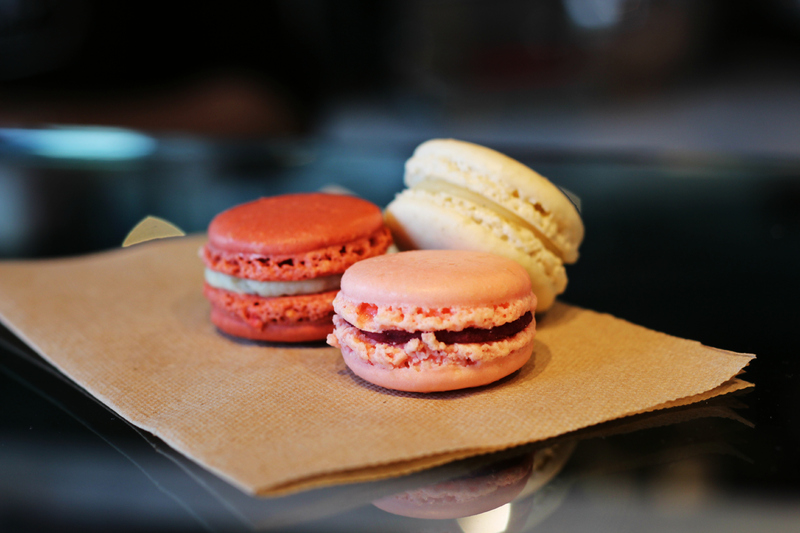 Visit this sweet place in Georgetown DC or online!